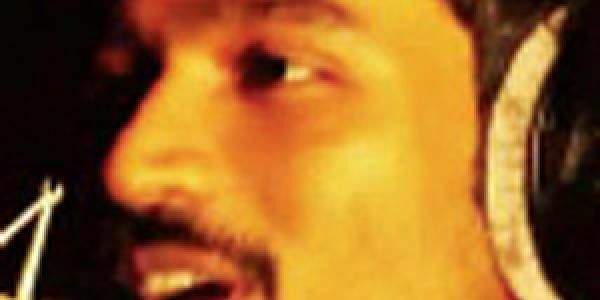 The \'Kolaveri\' song reinstates stereotypes, discrimination and stigma that North India has towards those from South. We are all aware of the threat that pandemics pose to us. Be it SARS, Avian Flu or Swine Flu, these pandemics catch us unawares and ill-prepared. And we pay an awful price for such unpreparedness. But today, I wish to discuss a new virus that has us in its thrall: Hail culture as a pandemic! And we are all vulnerable. What do I mean? Let me begin with the latest example of such a virus–Kolaveri—that spread across the global e-way within a couple of days of its “unplanned” release. The critical question with this “virality” is whether it opens a new form of pan-Indian identity. Does Kolaveri expose a new frontier of the “North” accepting the “South?” I’m afraid not. What Kolaveri does is evoke sniggers in north India. There is a distinct sense of de-classe. Look at the clumsy South Indian trying to speak fancy English. The song unfortunately reinstates stereotypes, discrimination and stigma. It works on the lowest common denominator syndrome. The lower you push the bar the more people who embrace you! Classical dance hovers at the other extreme end of the Highest Common Factor. It forces audiences to engage with the art and to respect it. Dancers from South India have moved heaven and earth to make Bharatanatyam work in the north. I remember Yamini Krishnamurti telling me that in the good old days of train travel and zinc trunks, she would be in remote parts of north India and be called to perform after midnight to follow some dazzling Hindustani musician or Kathak wizard. She said that she had to present the most dynamic version of Bharatanatyam to engage with those cow-belt audiences. It is my lament that the blue-chip gains of South Indian culture in the north achieved through decades of sweat by several artists can be easily undermined by the Kolaveri strain. Perhaps it is time to examine how one could increase the northern understanding of the south of the Vindhyas, beyond (often) terming the latter the homogenous Madrasi, and vice versa. Social media–so critical to Kolaveri’s success—can do its bit in realizing and bridging this gap, instead of reinforcing stereotypes. Of course, when culture becomes a pandemic, the hope is that its control can also be developed rapidly. In the case of Kolaveri, it will be another mindless tune that will engage public attention next, perhaps with greater ferocity. Moreover, when Gen-Next erases the Kolaveri ring tone and replaces it with the next, do I hear a throaty chuckle from Bharatanatyam, ageing no doubt, but still resolutely in the limelight.